On February 14 a handful of hardy sailors converged on North Sea’s Breadnut raceline for a fun, mixed fleet race. 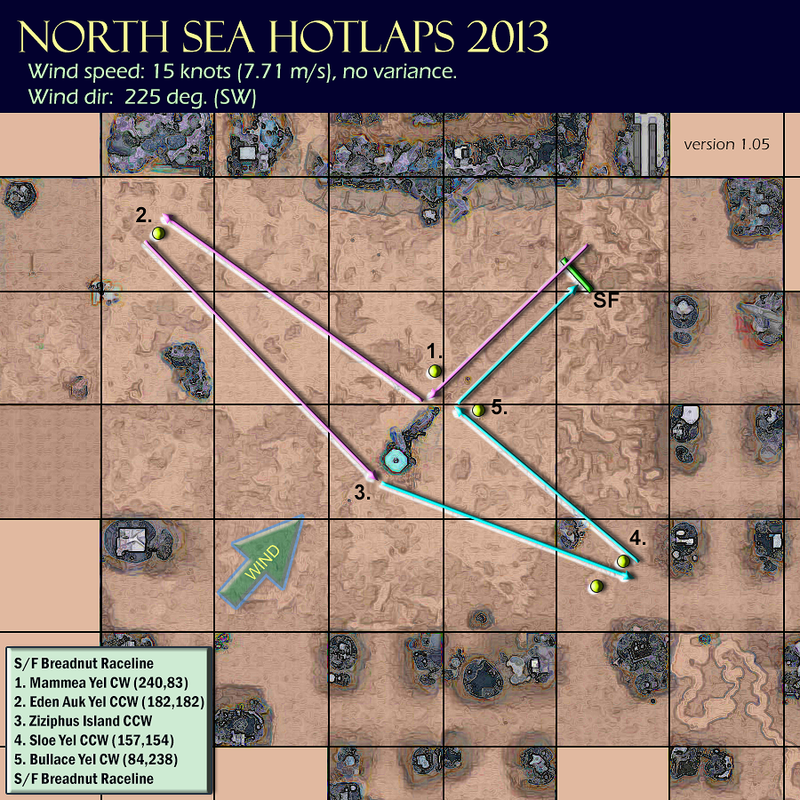 We did two heats on the North Sea Hotlaps course, and everyone sailed a different boat class. Since the sim conditions were pretty good, I thought it might be interesting to look at the results using the Handicap factors. Handicapping might “level the playing field,” and allow different boats to fairly compete with each other.